In previous issues of this newsletter, I have recounted populist opposition to the ongoing project that is adding express toll lanes to 26 miles of I-77 in Charlotte, NC. Construction of the $650 million project has been under way since late 2014 under a 50-year revenue-risk toll concession by Cintra, developer/operator of the LBJ Express Lanes in Dallas and the North Tarrant Express Lanes in Fort Worth. The project became an issue in last year’s governor’s race, and some see it as having helped defeat the re-election of Republican Gov. Pat McCrory. New Gov. Roy Cooper and his new NCDOT chief Jim Trogdon earlier this year commissioned transportation finance firm Mercator Advisors to review the P3 concession agreement and assess alternatives going forward. The report, “Review of the Comprehensive Agreement for the I-77 Express Lanes Project,” available on the NCDOT website, is an excellent primer on revenue-risk P3 agreements for express toll lanes. First of all, by providing data on seven comparable projects and examining their financing and concession agreements, Mercator shows that the I-77 project is a state-of-the-art P3 express toll lanes project, rather than being some kind of anomaly (as local critics kept implying). It explains the large transfers of risk from NCDOT and the state’s taxpayers to the concession company, I-77 Mobility Partners. It clarifies that the private activity bonds (PABs) and TIFIA loan are backed solely by the project’s expected toll revenues, not by the state. It also notes without comment that, at 39% of the project budget, the equity investment in this project is higher than in any of the seven comparable ones. The report also includes a sampling of public comments, most of them negative, many of which reflect the mistaken belief that a highway with six general-purpose (GP) lanes would have less congestion and higher vehicle throughput during peak periods than one with four GP lanes and two variably priced express toll lanes. Since Mercator is not a traffic engineering firm, it did not include empirical data that refutes this belief. The most important part of the report is Mercator’s assessment of five policy options it was asked to assess. Here is my brief summary and commentary on them. 1.Terminate the concession agreement but complete the express lanes. NCDOT would have to make a termination payment to reimburse the company for costs incurred by the time of termination, which would have been at least $289 million as of last December, but would likely be close to $400 million if agreed to by the end of this year. There would also be costs to stabilize the uncompleted lanes, while seeking a new builder, plus the costs of completing the $650 million project. Those large costs would take funds away from other needed NCDOT projects. 2.Terminate both the concession and the express lanes. The costs of this would be about the same, but the new lanes would be completed as GP lanes, so there would not be the costs of electronic toll collection hardware and software (a small part of the total). 3. Negotiate a modified scope for the project. Mentioned here are possible changes in the tolling policies (HOV-2 going free rather than only HOV-3), frequent-user discounts, etc. Those would all reduce revenue. And allowing heavy trucks to use the express lanes would require stronger pavement, increasing costs. These changes would require increased funding from NCDOT, compared with its current 31% share via the public-private partnership. 4. Work with the local MPO on additional policy options for the I-77 corridor. Changes such as use of shoulders during peak periods and adding express bus service are permissible under the concession agreement, and might reduce some of the current public concerns about the project. 5. Purchase the express lanes after they are completed and in operation. 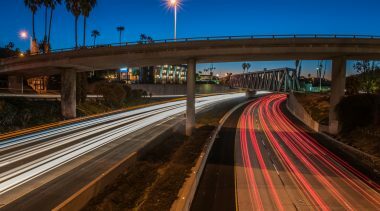 This is what happened with the country’s first revenue-risk express lanes project: the 91 Express Lanes on SR 91 in Orange County, CA. But in that case, the purchase price was based on an independent third-party estimate of the net present value of net toll revenue over the remaining years of the concession (which Mercator helpfully points out was about 50% higher than the project’s cost of construction). Hence, the bottom-line message of this carefully-researched report is that four of the five alternatives (all except #4) would cost a lot of taxpayer money—which would preclude investing those sums in other much-needed transportation projects in the Charlotte metro area. If that is what ends up happening, frustrated motorists will have the local populists to thank for it. His target in this column was last year’s bankruptcy filing of the concession company for SH 130 (Segments 5& 6), a toll road sponsored by Texas DOT to relieve growing congestion on parallel I-35 between Austin and San Antonio. The northern sections, through Austin’s suburbs, are doing fine, but the rural Segments 5 and 6 (the only ones developed under a revenue-risk P3 concession), fell far short of projected traffic and revenue. Salzman wrote this piece before the final bankruptcy settlement, which I have recently researched to see who won and who lost. The original SH 130 Concession Company lost its $220 million equity investment, as is typical in a bankruptcy, in which providers of debt have priority over equity investors. Instead of Private Activity Bonds, the largest debt provider was a consortium of eleven Spanish banks, which loaned $686 million. And the federal TIFIA program provided a loan of $550 million. The banks and TIFIA negotiated the bankruptcy settlement, which became final on June 28, 2017. Under that settlement, a new concession company was created, to manage and operate the toll road for the remaining years of the concession, and the existing debt was wiped out. The banks and TIFIA now own about half the equity in the new company, and TIFIA also holds a new $87 million subordinated loan. A slight majority of the equity in the new company is owned by Strategic Value Investors. SVI has hired a company to make some needed pavement repairs and has contracted with Louis Berger Services for operations and maintenance on the toll road. SVI also negotiated a $260 million credit facility with Goldman Sachs, to provide working capital. It is widely believed that once the repairs are completed, the TIFIA office will offer most or all of its ownership stake for sale—and my guess is that there will be many bidders. SH 130’s traffic has recently increased by 16%, attracting about 10% of the traffic on I-35. And Berger is projecting annual traffic increases of about 6% a year, based on continuing increases in congestion on I-35. So who are the winners and losers from this bankruptcy? Cintra and Zachry were the equity investors, and they lost their equity in this project—a risk they were willing to take. TxDOT got the final sections of its long-planned alternative to I-35 at no cost to its budget. Motorists got a high-speed, uncongested alternative to I-35 that has remained in service during the bankruptcy process. And TIFIA is expected to come out whole once it sells its new equity interest in the toll road. And for those who worry that the TIFIA program is a risk to federal taxpayers, an update on the overall TIFIA portfolio, from the Transportation Research Board’s 2017 Annual Meeting back in January, found the portfolio to be in good shape. Of the projects generating pledged revenue (mostly tolls), 76% were either well above base-case forecasts or somewhat above base-case. Some 20% were below-case by 20% or less, and only 5% were well below base-case. As for credit ratings, 78% were unchanged from financial close, 19% have been upgraded, and only 3% have been downgraded. The report also noted that “Some of our best-performing projects are currently green-field toll roads,” such as Houston’s Grand Parkway, Dallas’s SH 161 and Chisholm Trail Parkway, and various express toll lane projects. The bottom line, contrary to Randy Salzman’s fever dreams, is that toll-financed P3 concession projects are doing well. And even in the case of the occasional bankruptcy, taxpayers have not been put at risk. Long-time readers of this newsletter know that I have written skeptically about many urban rail projects, especially those in low-density metro areas that grew to their present shape and size in the automobile era. I have also been supportive of improved bus service, including region-wide express bus service using the emerging networks of express toll lanes. But I have never put all of this together into a coherent assessment of transit policies for this new century. Two respected analysts, on whose work I have drawn in the past, have recently published a detailed 40-page report, provocatively titled, “The Great Train Robbery.” I hope that title doesn’t deter transportation planners at metropolitan planning organizations (MPOs) and state DOTs from reading this data-driven report from the Center for Demographics & Policy at Chapman University. Were I teaching a course on urban transportation, this report would be required reading. 40% of all U.S. transit commuting takes place in the New York metro area, and the six legacy metro areas account for 56% of all transit commuting. In the 19 non-legacy metro areas that have built urban rail systems since 1960, transit’s share of work trips has gone from 4.7% to 4.6%, which is less than the overall national average of 5.2%. Meanwhile, the share of drive-alone work trips in those 19 areas has grown from 73.0% to 76.6%. To add some color to these overall statistics, the authors provide brief profiles of transit and commuting in legacy core cities New York and San Francisco, and in dispersed metro areas, including Atlanta, Houston, Los Angeles—and the special case of Portland, the model for transit-focused “smart growth,” including $3 billion spent on light rail and an enforced urban growth boundary. Since 1986, when Portland’s first light rail line opened, transit’s share of work trips has declined from 7.9% to 6.9%, while drive-alone work trips grew from 65.3% to 70.0%, and working at home as increased from 2.3% to 6.4%–nearly as much as transit, but with a taxpayer cost of zero. Looking to the future, Kotkin and Cox cite a 2016 Bain & Company report, “Spatial Economics: The Declining Cost of Distance,” which reports data from both Europe and the United States showing growing dispersion of population and jobs. Bain envisions a “post-urban economy” that will be more-localized and home-based, and projects that by 2025 more people will be living in exurbs than in urban cores. Kotkin and Cox also note, all too briefly, the landmark work on access to jobs, from both the Brookings Institution and researchers at the University of Minnesota, on which I have previously reported. The short version of this is that across all large US metro areas, people can reach only 27% of all jobs via transit within 90 minutes, while they can reach close to 100% of all jobs via car within 30 minutes in 31 of the 51 largest metro areas and within 60 minutes in nearly all of them. The bottom line for the authors, when they assess the future of transit, is this. Instead of continuing to spend billions on rail transit aimed at “getting people out of their cars,” transportation planners should refocus on better service for people who really need transit—those who have no affordable access to an individual motor vehicle. Many improvements to basic grid-type bus service are possible at relatively modest cost, and there is great potential for Los Angeles-style bus rapid transit on major arterials and for regional express bus service on express lane networks. “It seems unwise to spend money on additional options for people who can make their way to work on their own. A better approach would be to focus on developing cost-effective new options for those who lack the mobility to reach jobs.” I agree. The Congressional Research Service last month released a new report, “Tolling U.S. Highways and Bridges” (CRS 7-5700) that is well worth reading. Much of it deals with the potential of using toll finance to reconstruct and modernize the entire U.S. Interstate Highway System. But despite analyst Robert S. Kirk’s careful writing, we are already seeing media misinterpretations that could reduce support for this eminently sensible idea. First, a brief overview of the scope of the CRS report. It provides a concise history of federal law and policy on highway tolling, as well as a summary of current law which has become far more toll-friendly over the past two decades. It briefly discusses toll-revenue-based P3 concessions for toll project, noting the important benefit of transferring the risk of overly optimistic traffic and revenue forecasts to investors, rather than leaving taxpayers stuck with those risks. It also acknowledges recent progress in electronic toll collection, with a table of selected toll systems whose cost of collection range from 7% to 13% of the revenue collected—far lower than the figures tolling opponents throw around (20 to 30% of revenue), based on 20th century cash tolling. It also acknowledges Reason Foundation’s 2012 study suggesting that all-electronic (no-cash and no-billing) tolling systems could get that cost of collection down to 5% of toll revenue. 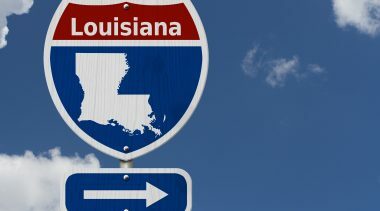 Finally, it includes a long discussion of the possibility of toll-financing the reconstruction and modernization of the entire Interstate system, citing the 2013 Reason Foundation “Interstate 2.0” study. But there is where media misinterpretation comes in. My case in point is a pair of features in the Fredericksburg, VA Free Lance-Star. 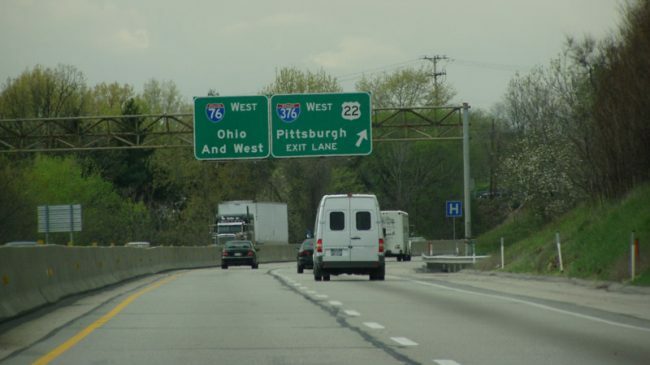 An August 21 feature article by Scott Shenk provided a briefer summary of the CRS report, including the claim (not in the report) that “much of” the 1,161 miles of toll road added since 1990 was on the Interstates—which implies conversion from free to tolled, which has not happened. Then comes a whopper. Shenk writes, “The costs of converting the Interstate system [to tolling] appear to be prohibitive—somewhere between $1 trillion and $3 trillion.” But that’s not what CRS said. Those huge costs are to reconstruct and widen the entire Interstate system; adding the electronic tolling equipment would be a small rounding error in that overall cost. “More than 1,000 miles of the nation’s Interstate highways have already been turned into toll roads since 1990.” Fact: that figure refers to new, mostly urban toll roads, not conversions of Interstates. “Adding toll booths to the rest of the 46,876-mile system would eventually haul in $112 billion in revenue annually, CRS calculates, but it would take up to 15 years to recover the estimated $1 trillion-$3 trillion upfront cost.” Fact: as noted above, that is the reconstruction cost, not the cost of “adding” tolls (not “toll booths”). Interstate tolling “would impose a large tax increase on Americans, who have already paid to build these roads.” Fact: Americans have not paid for the enormous cost of rebuilding 47,000 miles of Interstates as they reach the end of their useful lives over the next two decades—and there is no current funding plan for doing so. It is true that the toll charges needed to pay for reconstructing and selective widening of the entire Interstate system would be higher than current fuel taxes. In Reason’s “Interstate 2.0” study, we estimated that per-mile costs for cars (in 2010 dollars) on long-distance (rural) Interstates would range from 1.5 cents/mile (Alabama) to 5.3 cents/mile (Idaho and North Dakota), with only a handful of low-traffic states likely not being toll-feasible. Those rates compare with the average 2.2 cents/mile nationwide yield of federal plus state fuel taxes as of 2010. In contrast with fuel taxes, the per-mile toll rates we proposed would be inflation-adjusted. In short, CRS has produced an important, up-to-date overview of tolling’s potential, especially with respect to our most important transportation infrastructure, the aging Interstate system. But those of us who favor this approach need to do a lot more work to educate the media, and hence, the voting public, on what toll-financed Interstate replacement is–and is not. Media hype that envisions driverless trucks dominating highway freight a few years from now has created a potential federal roadblock for advancing autonomous trucking. An August report from the Commerce Department listed the top 10 jobs threatened by autonomous vehicle (AV) technology; heading the list was “tractor-trailer truck drivers,” with 1.68 million jobs listed as at-risk. That has reinforced all-out opposition from the Teamsters’ Union, which has been lobbying the House and Senate to keep vehicles weighing more than 10,000 pounds out of pending AV legislation. That effort succeeded in the House, but at press time, Sen. John Thune (R, SD) was trying to keep that restriction out of the companion Senate bill. The hysteria over imminent loss of truck driver jobs is vastly overblown. First of all, the trucking industry has been struggling for years with very high driver turnover and a chronic driver shortage. It is especially difficult to recruit younger drivers to replace the large numbers each year who quit or retire. In addition, even when Level 3 automation is far enough along to be legal for long-haul trucking, driving the truck is just one part of the overall job, which includes scheduling deliveries, keeping the cargo secure, and maintaining the truck. The kind of autonomy we are likely to see within the next decade or so is not likely to eliminate any truck drivers. A recent article in Fleet Owner cited the trucking industry’s driver recruitment and retention problems as multi-faceted, including not just pay but the industry’s image, working conditions, and work/life balance (with long-haul drivers away from home a large fraction of the time). Autonomy features could improve trucking’s image, driver working conditions, and potentially work/life balance (if trucks did not have to stop for mandatory driver rest periods). Truck platooning is the most likely form of trucking autonomy to be implemented over the next decade, and that still requires a driver in the cab. Research and pilot projects are under way in a number of states, including Nevada (where platooning is already legal) and the I-10 Connected Freight Corridor, a joint effort of the DOTs of California, Arizona, New Mexico, and Texas. Research institutes such as the Texas A&M Transportation Institute are researching various policy issues, such as the type of corridors best suited for truck platooning, and what impact highway grades will have on platooning. VMT Reaches All-Time High–FHWA. For the first six months of 2017, vehicle miles of travel reached a new high of 1.58 trillion miles, according to FHWA’s latest Traffic Volume Trends report. This is the third straight year of record highs, all topping the previous peak of 1.498 trillion in the first half of 2007. This year’s increase is 1.6% more than the VMT for the first half of 2016. Congestion Costs Trucks Over $63 Billion. The American Transportation Research Institute reported last month that traffic congestion on National Highway System (NHS) roads added $63.4 billion to the cost of trucking operations in 2015. That number is based on 996 million hours of delay on those routes. For trucks that travel 100,000 miles a year or more, the average cost per truck was $22,676 (or 22.7 cents/mile). ATRI has also identified the top 100 bottlenecks for trucks, 91% of which are in urban areas. The 10 worst are freeway interchanges in places like Atlanta, Chicago, and Los Angeles. Virginia Express Toll Lanes Win Support. Drivers on I-495 and I-95 in northern Virginia are overwhelmingly positive about the express toll lanes on those expressways: those using them occasionally report 80% satisfaction, while weekly users report 85% and carpoolers report 92% satisfaction. And despite some peak-of-peak toll rates being very high, the average toll on the I-495 lanes is $5.77 and on I-95 $8.46. These numbers come from the Summer 2017 Update from express lanes operator Transurban. More Data on Pedestrian and Bicyclist Collision Avoidance. Following up on last month’s report on vehicle-to-pedestrian technology, I found a new report from U.S. DOT’s Volpe Center, Estimation of Potential Safety Benefits for Pedestrian Crash Avoidance/Mitigation Systems. Volpe researchers analyzed several driver warning systems, as well as two automatic braking systems, estimating that such systems, if widely deployed, could reduce up to 5,000 vehicle/pedestrian crashes per year and 810 fatal crashes of this kind. And in Europe, Bosch has unveiled two systems aimed at preventing vehicle/bicycle collisions: one using emergency braking and the other to warn drivers against opening the door when a bicycle is approaching from the rear. Delaney’s Bipartisan Infrastructure/Repatriation Bills. Rep. John Delaney (D, MD) has introduced two bills that would link repatriation of overseas corporate earnings to infrastructure investment. The first, with Rep. Ted Yoho (R, FL) would finance a $50 billion infrastructure bank focused on P3 projects by selling 50-year bonds to companies that repatriate funds tax-free. The second, with Rep. Rodney Davis (R, IL) would tax repatriated earnings at 8.75% and use the proceeds to shore up the Highway Trust Fund, create an infrastructure bank and a pilot program for rural infrastructure. Audi Announces First Level 3 Automated Vehicle. The new Audi A8 will offer drivers Level 3 autonomy for use in congested traffic on highways. AI Traffic Jam Pilot will drive the car without driver involvement at speeds less than 37 mph. The car includes a large array of sensors, including cameras, radars, and forward-looking lidar. The price tag for the base model is €90,600 (about $109,000). Winning Bidder for $1.2 Billion Denver I-70 Rebuild. The team of builder Kiewit and financier Meridiam won the bidding for the $1.2 billion design-build-finance-operate-maintain (DBFOM) concession to reconstruct a 10-mile stretch of aging I-70 east of downtown Denver. The project will add express toll lanes and will replace an ugly viaduct with a deck over newly depressed lanes, to create a park that will re-unite neighborhoods on both sides of I-70. Because tolls will only be charged on the new express lanes, the concession will be based on availability payments from Colorado DOT to the concessionaire. Musk’s Boring Company OK’d for Two-Mile Tunnel. The Boring Company, owned by Elon Musk, has won approval from the City of Hawthorne, CA to bore a two-mile long tunnel some 44 feet beneath city streets, in the first test of its proposed tunnel transportation system. Cars will be lowered onto electric sleds that will travel up to 125 mph. The Boring Company hopes to radically reduce the cost of tunneling. Streetcar Line vs. Buses Debated in New Orleans. Last month transit advocacy group Ride New Orleans released a report blaming the inauguration of two new streetcar lines for slowing down bus commutes in or near those corridors. According to the report, the new Rampart streetcar significantly increased the travel times to more than 1,000 jobs that used to take 30 minutes or less. Potential causes are (1) changes to bus routes made to accommodate the new streetcars, and (2) removing several bus stops. By contrast, the report cited improved travel times on Canal street, where previously removed bus service was restored. Tampa’s Elevated Express Toll Lanes Being Extended. A two-mile westward extension of the successful elevated express lanes on the tolled Selmon Expressway was awarded last month by the Tampa Hillsborough Expressway Authority to the team of AECOM and Kiewit. The team won a $230 million design-build contract for the project, which will extend the elevated lanes along Gandy Blvd. The extension will permit users to bypass a number of signalized intersections on Gandy. First Stretch of I-11 Not Visible on Two Navigation Systems. Drivers trying to get to the first 2.5-mile stretch of the new Interstate 11 near Las Vegas were led far astray by both Apple Maps and Google Maps last month. Only Waze had quickly updated its maps to show the new route and connecting roadways. A longer stretch of the new I-11 is still under construction. One Transponder for Truckers. The two providers of transponders by which trucking companies can (1) bypass weigh stations, and (2) pay tolls electronically have joined forces to offer a single transponder for both purposes. HELP, Inc. and Bestpass announced the agreement several months ago. Fleets using Bestpass for toll payments can add the PrePass weigh station bypass service using their Bestpass transpoder, which now works on all tolled highways nationwide. Toll Causeway Renovation—with a Twist. An interesting proposal in Miami would replace an aging bridge on the tolled Rickenbacker Causeway, raise the causeway’s level by three feet (to cope with future sea-level rise) and add a bikeway and walking path, all paid for by an increased toll. Advocates of the project have garnered the interest of United Bridge Partners in Denver, a joint venture of American Infrastructure Funds and Figg Bridge. Proponents hope UBP will submit an unsolicited P3 proposal to design, build, finance, operate, and maintain the project based on a toll increased from the current $1.75 to $4.00. Part-Time Colorado Toll Lane Doing Well. In late 2015, Colorado DOT opened its Mountain Express Lane (MEXL) heading eastbound on I-70, for travelers heading toward Denver from the mountain ski areas. Given the very high congestion in the corridor, the $75 million project has proved more popular than expected, capturing 8% of the total eastbound traffic during the 2016-17 winter season. Since MEXL is open only around 80 days a year, the toll revenue is not able to cover its costs. But in response to my question, Colorado DOT told me the toll revenue is covering operating and maintenance costs and debt service on the $25 million loan that financed one-third of the project’s cost. Plans are under way for a companion westbound MEXL, but state funding for that will have to compete with many other current needs. How Much Waterways Commerce? Pleas from the barge industry for federal taxpayer support to modernize inland waterways emphasize the important contribution waterborne commerce plays. But while the tonnage may be large, the economic value is much smaller than many assume. “The Economic Value of Using Transportation Assets and Services,” in the May-June 2017 issue of TR News, provides figures on the share of GDP accounted for by each mode of freight transportation. Surface freight accounts for 2% of GDP, but 81% of that is accounted for by trucking, 12.6% by rail, and just 6.4% by waterborne. French Rail Company Losing Its Monopoly. State-owned railway operator SNCF is losing its monopoly on providing rail service in France. EU rules require member governments to open their tracks to other operators by 2020 for high-speed rail and by 2023 for regional service. International Railway Journal reports that Italian high-speed rail firms are interested in serving some French routes. Meanwhile, SNCF has been making moves into overseas markets itself; The Economist reports its forays into India, Italy, and the United States. Tolled I-80 in Wyoming? Wyoming DOT has hired HDR to develop a 20-year plan for I-80, the state’s major highway. The study’s scope includes possible widening, truck parking areas, and intelligent transportation system features. The funding portion will look at projected federal and state transportation funding and will also consider tolls.